Samsung Electronics today announced that it will support YouTube’s global HDR playback on television for the first time, through an expanded version of the YouTube application. 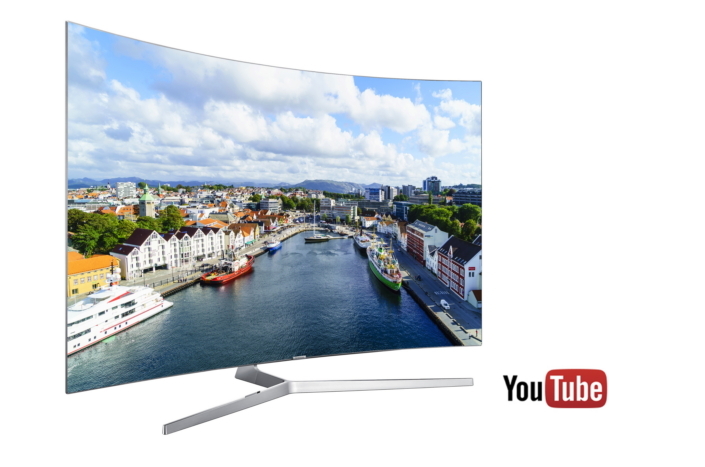 The YouTube Application is available on all 2016 Samsung Quantum dot TVs and UHD TVs and will launch progressively throughout the world from December. YouTube will support High Dynamic Range (HDR) video streaming, offering a wide range of HDR content. Launched through an automatic software update, consumers who use all 2016 Samsung Quantum dot TV and UHD TVs can access HDR content simply by visiting the HDR category within the YouTube application on YouTube’s 4K channel, providing an easy way to navigate and enjoy premium content. To coincide with the launch, the YouTube application will feature new HDR videos from popular YouTube content creators, such as MysteryGuitarMan and Jacob + Katie Schwarz. To ensure the proliferation of new HDR content, additional YouTube creators will be able to utilize the YouTube Spaces LA and NYC, which provide HDR production resources to content creators. With a growing number of HDR content providers, as well as the numerous creators already producing HDR video content, YouTube’s HDR support is expected to introduce more genre offerings in the coming year and satisfy user demand for a true-to-life viewing experience on the content they enjoy the most. Emerging as one of the most sought after display technologies in the last few years, HDR is an image reproduction technology that analyzes the contrast ratio of a video to help express even the most subtle differences in shades and tones of color. Paired with Samsung’s Quantum dot TV, the picture that is produced appears more realistic and life-like on screen. In addition, Samsung’s Quantum dot TVs have the capacity to generate peak brightness of 1,000 nits, optimized for the most ideal HDR viewing experience. Why Are Quantum Dot Displays So Good? What is High Dynamic Range (HDR)?